Culture Tourist was founded by Tea Gudek Šnajdar in the spring of 2016 in Amsterdam. Tea is an art historian (MA) and historian (BA), who has worked as a museum docent for many years and is passionate about telling stories about art and history. 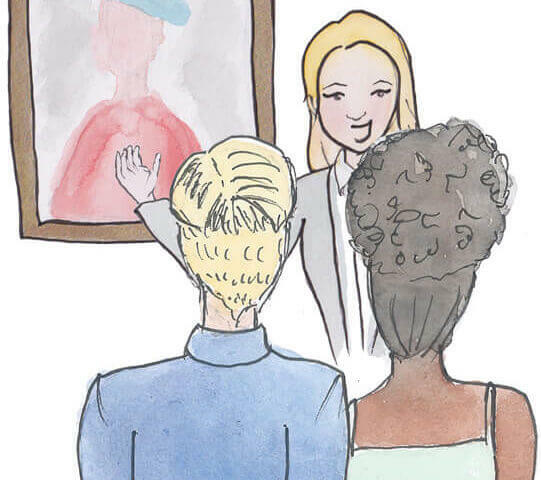 Culture Tourist was created as a place for people who are curious, who like to learn about the places they visit, and who are interested in hearing about the stories behind the paintings in museums and learning more about their context. That’s why at Culture Tourist we do more than just organise tours, we organise little art workshops as well. We normally start in the museums, where you’ll see the paintings and hear the stories of the painters who made them. Often, this will be in their own words, as we explore journals and letters written by the artist. Sometimes you’ll even do a bit of drawing yourself, to understand how they created their paintings. And then, to give you the whole context, we’ll often continue our voyage to the city. We’ll see some of the places where these painters lived and worked, or some of the places that feature in their paintings. Our mission is to give you the whole picture, so you leave the tour feeling like you really got to know these artists and with a desire to find out more yourself. At Culture Tourist, we strongly believe in sustainable tourism. Here is Tea’s travel blog, where she writes about art and culture in destinations around Europe. To stay up to date with all our travel tips and the art workshops we organise, sign up for our newsletter. Thank you, Tea, for a wonderful day exploring the Rijksmuseum and the Van Gogh. You did a great job of introducing our small group to the history of both museums and the beautiful architecture of the Rijks itself. I'll never view the works of Rembrandt and Van Gogh the same way again. You gave us great info on the colors, composition, brush work and motifs of these artists as they developed their styles. We had museum guides in many parts of the world, but yours truly was the best we've experienced. Thank you for the tour, it was amazing. The tour was perfect in time duration, even my baby wasn't tired too much. And information was so easy to understand, even with pre-intermediate English level :) I would love to have another one, especially now, when it's a beautiful weather outside. Dear All at the Culture Tourist - I just want to thank you again for the interesting and informative time spent this past Saturday during the "Rijksmuseum Workshop: Discovering the Dutch Golden Ages". Our guide was a real pleasure to listen to, she took us beyond the common knowledge and I enjoyed the creative challenge of attempting to paint some details ourselves. I highly recommend this workshop! It was a pleasure working with Tea on organizing walking tours for expats, who had recently moved to the Netherlands. Tea is always quick and proactive in her communication and comes up with creative walking routes, instead of just showing the obvious spots of Amsterdam. She makes sure everyone enjoys her tours. I would happily recommend contacting Tea to anyone looking for a guide to show around Amsterdam!